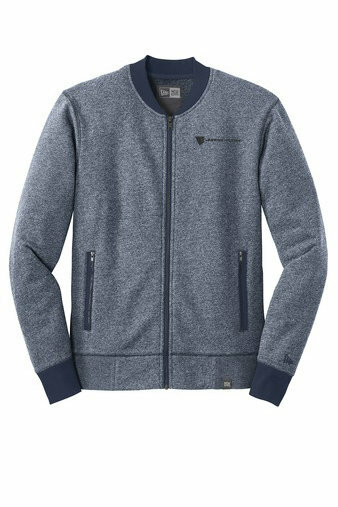 This jacket gives a nod to traditional baseball styling but is updated in super-soft French terry. 9-ounce 52/48 cotton/poly sueded. Features French terry contrast rib knit collar and cuffs, woven New Era® patch label, exposed black nickel zippers. Contrast front zippered pockets with exposed zipper tape, embroidered New Era® flag logo on left sleeve, rib knit hem, woven New Era® badge at hem.